FSU Credit Union and Auto Advisors put you into the driver’s seat. Our goal is to find you the perfect car while saving you time and money. Our long standing relationship with FSU Credit Union enables us to put your needs first. 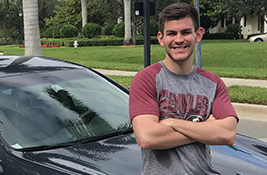 Call (800) 929-8971 or fill out the form above now to learn about the fair and competitive auto pricing you’ll find with FSU Credit Union's concierge car buying service.